Nutella Chocolate Banana Ice Cream Cake + $400 AMAZON Card Giveaway! 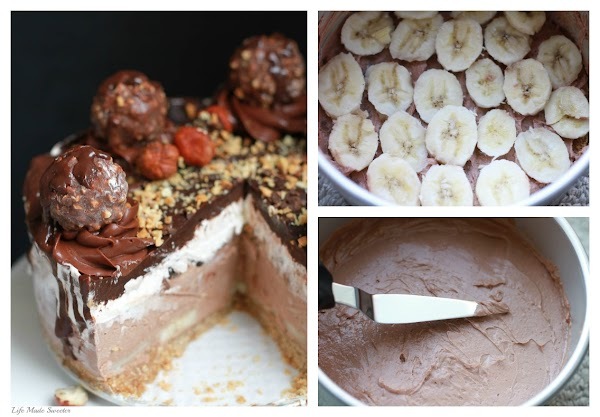 Nutella Chocolate Banana Ice Cream Cake + Giveaway! 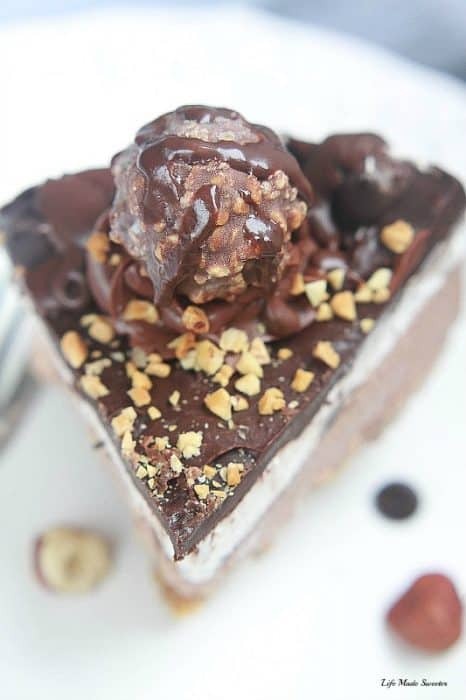 This Nutella Chocolate Banana Ice Cream Cake has a no-bake graham cracker crust and an easy no churn ice cream! It makes an impressive frozen dessert. June has always been one of my favorite months. It means school’s out along with the official start of summer. I just love how much more happier and relaxed everyone is and there always seems to be some kind of celebration going on like a wedding or a birthday. Have you all met her? She’s the sweetheart over at Five Heart Home where she shares delicious meals that are quick and easy to make along with fun free printables. She’s a wonderful mom of three beautiful kiddos and is super talented. 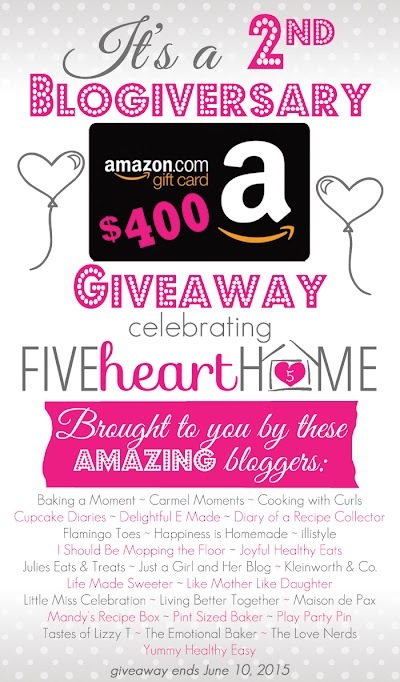 Five Heart Home is celebrating their 2nd Blog Anniversasry so a bunch of us blogging friends are helping to celebrate by offering one lucky reader a chance to win a $400 Amazon e-Gift Card! Giveaway details are listed below after the recipe. 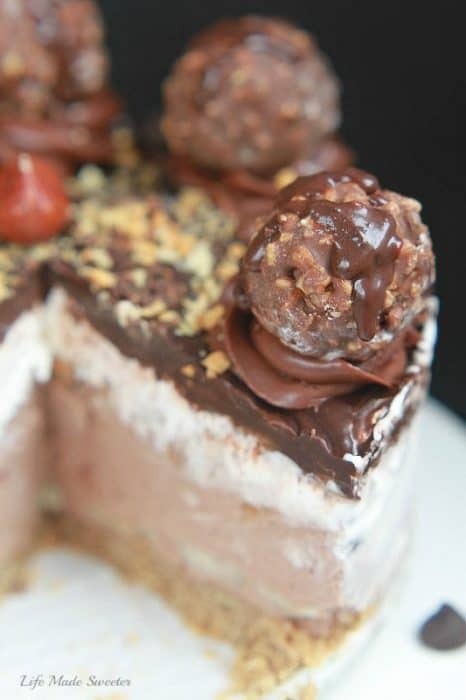 No celebration would be complete without a cake so I brought along this Nutella Chocolate Banana Ice Cream Cake. It makes the perfect birthday treat to cool down with during the hot warmer months. Plus ice cream cakes are my absolute favorite kind of cakes especially. They are so easy to customize and you can make them way ahead of time and store them in the freezer. Plus they’re so simple to put together and yet they still make an impressive dessert. The creamy and rich Nutella ice cream is no-churn so you won’t have to lug out that heavy ice cream maker. As much as I love homemade ice cream from my ice cream maker, there are days I forget to plan ahead and store it in the freezer. With this no-churn ice cream, you won’t have to worry about that. You will ONLY need 5 ingredients for this ice cream too – Nutella, condensed milk, sugar, vanilla and heavy cream. Then you spread the ice cream over a no-bake graham cracker crust and banana slices, then add some crumbled Oreo cookies and spread on another layer of whipped cream for a pretty contrast. Don’t forget to top it all off with the delightful chocolate Nutella ganache and have some fun and decorate it however you like. I added a few Ferraro Rocher chocolate, chopped hazelnuts and chocolate shavings. 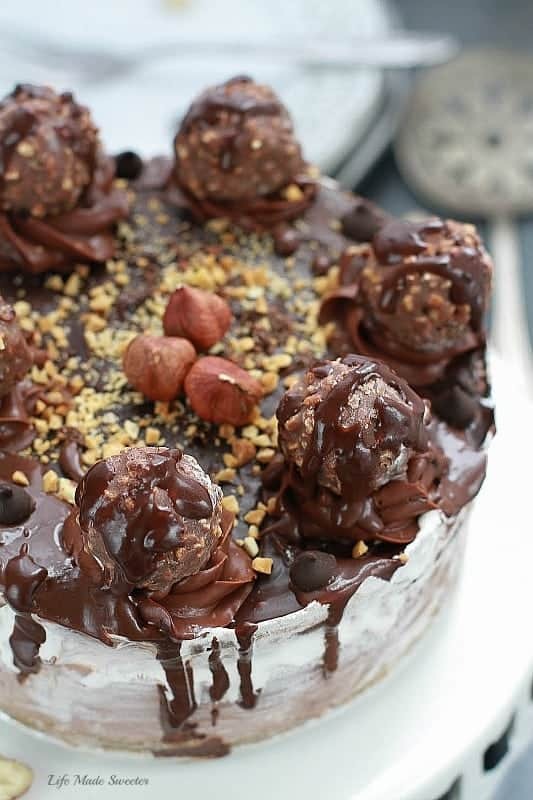 This Nutella Chocolate Banana Ice Cream Cake has a no-bake graham cracker crust and an easy no churn ice cream! The layer of banana slices and Oreo cookies adds makes this an extra special and impressive frozen dessert. To make the Graham Cracker Crust -- In a food processor pulse the crackers until nice and fine or place crackers in a ziploc bag and roll with a rolling pin into very fine crumbs. Add the melted butter and Nutella and stir with a fork. Press mixture into the bottom of a parchment lined 8 or 9 inch springform cake pan (I used 8 inch) and press firmly to create an even layer. Press hard to compact. You can use a glass to press the bottom. Chill in the fridge or freezer while preparing the cheesecake mixture. Using the whisk attachment to your electric mixer, whip the whipping cream until frothy. Add powdered sugar and continue whipping until stiff peaks are formed. Set aside 1 cup of whipped cream in the fridge for the top layer. In a separate, large bowl, combine the sweetened condensed milk, Nutella, and vanilla until completely uniform. Gently fold the larger batch of whipped cream until well combined. *Layer sliced bananas over the graham cracker crust. (Feel free to leave out if you are not a banana fan). 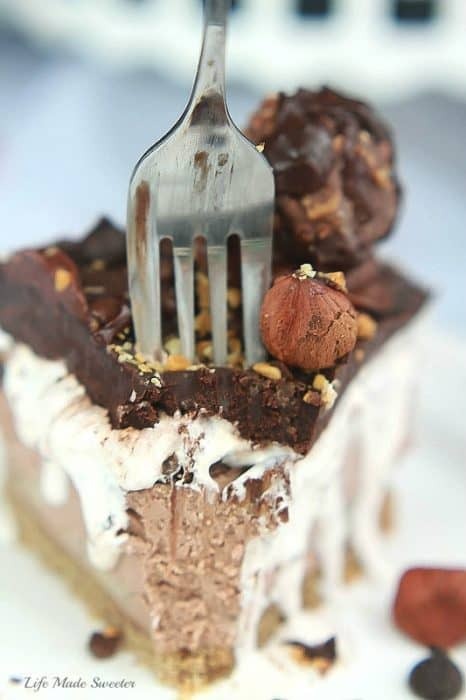 Spread the Nutella ice cream onto the graham cracker crust and spread it out evenly using an offset spatula or knife. *Sprinkle with crushed Oreo cookies. Layer with the remaining half of the whipped cream. Return to freezer to set for about an hour or more. Meanwhile, make the ganache. Place chocolate chips and Nutella in a medium heatproof bowl. In a small saucepan heat the cream just until simmering. Pour over chocolate chips/Nutella and stir immediately until smooth and combined. Allow to cool. Remove from the freezer and quickly top with the cooled ganache, spreading evenly. Return to freezer to slightly firm up the ganache. 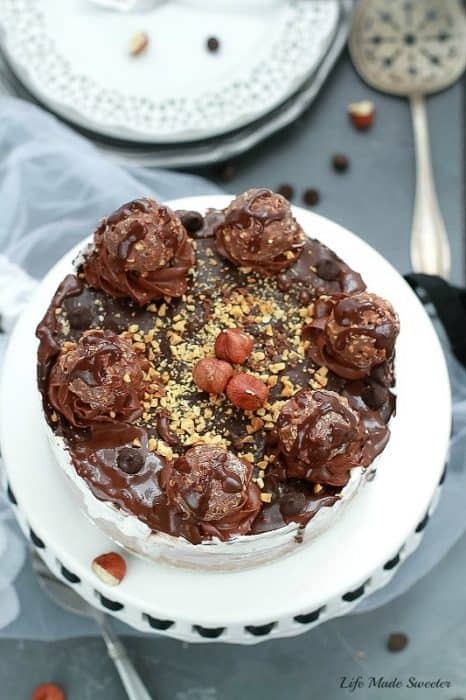 Remove the cake from the freezer and decorate with Ferrero Rocher, chocolate shavings , chopped hazelnuts and drizzle with some reserved Nutella ganache if desired. Return to the freezer for at least another hour or two, until frozen. To serve, remove from freezer and allow to sit at room temperature for about 5-10 minutes before cutting. For best results when whipping the cream, make sure the heavy cream is very cold, you may even put your bowl and whisk attachment or beaters in the freezer for a bit.